Josep Ferran Sorts i Muntades (baptized 14 February 1778 – died 10 July 1839) was a Spanish classical guitarist and composer. While he is best known for his guitar compositions, he also composed music for a wide range of genres, including opera, orchestra, string quartet, piano, voice, and ballet. His ballet score Cendrillon (Cinderella) received over one hundred performances. Sor's works for guitar range from pieces for beginning players to advanced players such as Variations on a Theme of Mozart. Sor's contemporaries considered him to be the best guitarist in the world, and his works for guitar have been widely played and reprinted since his death. Although modern classical guitar players usually do, Sor rarely used his annular finger or nails when playing. Born in Barcelona to a fairly well-off family, Sor was descended from a long line of career soldiers and intended to continue that legacy, but was distracted from this when his father introduced him to Italian opera. He fell in love with music and abandoned his military career goals. Along with opera, Sor's father also introduced him to the guitar, which, at the time, was little more than an instrument played in taverns, thought to be inferior to orchestral instruments. At a young age, Sor's parents wouldn't give his musical abilities too much special attention, for fear it would distract from his Latin studies. Therefore, the young Sor (still not 11 years old) began to write songs to words in Latin to impress his parents. He even invented his own system for notating music, as he had not yet received formal training. When he reached the age of 11 or 12, the head of the Barcelona Cathedral took notice of young Sor's talent, and he was enrolled in the school there. Not long after, his father died, leaving his mother without the funds to continue his education at the Cathedral. However, at around the same time Joseph Arredondo, the new abbot of Santa Maria de Montserrat, the famous monastery, heard of his talent, and provided funds for him to attend the choir school located at the monastery. Sor reveals in writings, mainly from the last ten years of his life, that he was greatly attached to this place, and had fond, nostalgic memories of his childhood there. But his mother began to see that Sor was becoming greatly distracted from his "chosen" path in the military or administration and, following the advice of friends, took him out of the monastery and placed him in military school for four years. It was not a terrible turn of events, as he had much free time to play and compose music in the army as well. In 1808, when Napoleon Bonaparte invaded Spain, Sor began to write nationalistic music for the guitar, often accompanied by patriotic lyrics. Sor was even part of traveling military bands that would play protest music on the streets. He was also promoted to captain in Córdoba and may have fought battles against the French at this time. After the defeat of the Spanish army, however, Sor accepted an administrative post in the occupying government. Here he was to be officially labeled an afrancesado along with the other Spaniards who abandoned their defense of Spain to embrace the French Revolutionary ideas. After the Spanish repelled the French in 1813, Sor and other afrancesados left Spain for fear of retribution. He went to Paris, never to return to his home country again. Having abandoned his family's ideal of a military or administrative post, Sor could finally give music a serious try in France. He gained renown at first as a virtuosic guitarist and composer for the instrument. When he attempted composing operas, however, he was rejected by the French. His opus 7 was a large and strange piece, notated in three clefs, and no guitarist at the time could play it. Since France was no longer supportive of his music, Sor decided to try his talents elsewhere. In 1815, he went to London to attempt to build a stronger music career there. Again, he gained considerable fame as a guitarist and gave guitar and voice lessons. Since ballet in London was more popular than opera, Sor decided to try his hand at this new genre of music. He had considerable success this time, especially with his ballet Cendrillon. By 1823, once he had acquired a level of fame in London, Sor again wandered away, this time with the ballerina Félicité Hullen to Moscow in her quest to become a prima ballerina. Not much is known about his time there, however, despite the exaggeration about his romantic and professional life. After three years in Moscow, he traveled around Europe giving concerts and getting into music circles everywhere he went. His last work was a mass in honour of his daughter, who died in 1837. The event sent the already-sickly Sor into serious depression, and he died in 1839, of tongue and throat cancer. 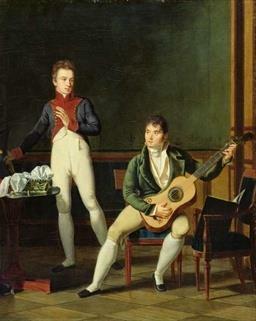 François-Joseph Fétis has called him "le Beethoven de la guitare" , though he has also remarked that Sor had failed to produce a good tone on one occasion. "The creative worth of Sor's guitar sonatas is high. The ideas, which grow out of the instrument yet stand up well enough apart from it, are fresh and distinctive. The harmony is skillful and surprisingly varied, with bold key changes and with rich modulations in the development sections. The texture is naturally of interest too, with the melody shifted from top to bottom, to middle, and frequent contrapuntal bits added. Among the extended forms, the first Allegro movements still show considerable flexibility in the application of 'sonata form', especially in the larger number of ideas introduced and recalled. For that matter, the style still goes back to that of Joseph Haydn and Mozart, especially in the first movement of Op. 22, which has all the neatness of syntax and accompaniment to be found in a classic symphony, and its third and fourth movements, which could nicely pass as a Minuet and Rondo by Haydn." "How should one perform Sor's music? I believe the answer is with considerably more freedom, expression and passion than has, for the most part, been done in the recent past. Sor, in his method of 1830 has much to say about the use of tone color on the guitar and even discusses how to imitate the various orchestral instruments. This use of color is something that is very uncommon amongst modern guitarists. Ironically Sor says very little about other aspects of expression, but other guitar methods from the era do recommend much use of portamento, arpeggiation of chords, and other expressive devices which most people today consider anachronistic and completely out of style in the interpretation of the guitar music from this very era! (It never ceases to amaze me how so many modern guitarists and musicologists [...] don't even consider the wealth of material and instruction from Sor's era which cries out that this music is meant to be expressed with such devices as dynamics, tone color, portamento, chordal arpeggiation [...]. These same modern guitarists with the conspiratorial support of supposedly enlightened musicologists will often perform this music, sometimes on a "period" guitar, and use practically none of the above-mentioned expressive devices.)" — Fernando Sor – Master Composer For Guitar? One of Sor's most popular compositions is his Introduction and Variations on a Theme by Mozart op. 9. It is based on a melody "Das klinget so herrlich, das klinget so schön!" from The Magic Flute, which Mozart composed in 1791. 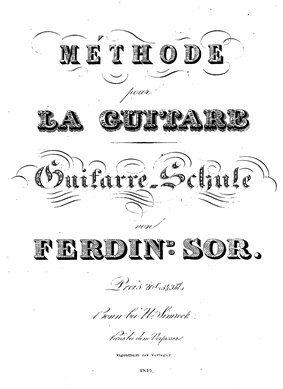 Sor's Méthode pour la Guitare was first published in Paris in 1830 and translated into English by A Merrick in 1832 under the title Method for the Spanish Guitar . The original cover of Sor's Méthode pour la Guitare, published in Paris in 1830. Sor was a prolific and, in his time, quite popular composer. There was a great demand for him to compose material that was approachable by less accomplished players. The resulting body of instructional studies he produced is not only noteworthy for its value to students of the guitar, but for its inherent musicality. Much of this work is organized in several opuses (in increasing order of difficulty): opus 60 (25 lessons), opus 44 (24 lessons), opus 35 (24 exercises), opus 31 (24 lessons), opus 6 (12 studies) and opus 29 (12 studies). Sor undoubtably played guitars by Pierre René Lacôte, mentioning: "M. Lacote, a French maker, the only person who, besides his talents, has proved to me that he possesses the quality of not being inflexible to reasoning". Some guitars of Lacôte show Sor's signature: "Fernando Sor, the Catalan guitarist living in Paris has signed a number of guitars by René Lacôte – examples now survive in the Edinburgh University Collection of Historic Musical Instruments, Cat. No. 2521; and in private ownership (exhibited at the Londen Early Music Instrument Makers Exhibition, 1991). Sor also lent his name to the instruments of Louis Panormo of London. However, in neither case is the instrument known, then or now, as a 'Sor model'." The guitars to which I have always given the preference are those of Alonzo of Madrid, Pagès and Benediz of Cadiz, Joseph and Manuel Martinez of Malaga, or Rada, successor and scholar of the latter, and those of M. Lacote of Paris. I do not say that others do not exist; but never having tried them, I cannot decide on that which I have no knowledge." In his method, he also mentions that "J. Panormo" of London and "Mr. Schroeder of Petersburgh", made some guitars under his direction; but it is curious that he mentions them only in regard to his own guitar design ideas, which are today partly critically viewed. Guitars made according to Sor's design have not yet been located. Andrés Segovia selected a set of twenty studies, each emphasizing a particular aspect of technique, these studies are now some of the best known works of Fernando Sor. Fernando Sor: Complete Studies for Guitar, performed by Enea Leone, on: Brilliant Classics 94791 (triple CD, 2014). Contains the complete opp. 6, 29, 31, 35, 44, 60. Moser, Wolf: "Fernando Sor: The Life and Works of a Reluctant Guitarist", part one, in: Classical Guitar Magazine vol. 26 no. 3, November 2007, p. 20–25. Moser, Wolf: "Fernando Sor: The Life and Works of a Reluctant Guitarist", part two, in: Classical Guitar Magazine vol. 26 no. 4, December 2007, p. 20–25. Ophee, Matanya: "Fernando Sor and the Russians", in: Soundboard Magazine vol. 31 (2007) no. 3-4, p. 13–29. ^ a b "Josep Ferran Sorts i Muntades". Enciclopèdia Catalana. ^ Tracie Ratiner, ed. (2005). Encyclopedia of World Biography 25 (2nd ed.). Detroit: Gale. pp. 394–396. ^ Sor, Fernando. Merrick, A., ed. Method for the Spanish Guitar. New York: Da Capo Press. ^ Carme Morell i Montadi (1995). El teatre de Serafí Pitarra. L'Abadia de Montserrat. ^ Baltasar Saldoni (1856). Reseña histórica de la escolanía ó colegio de música de la Vírgen de Montserrát. Imprenta de Repullés. ^ F. J. Fétis (1810). Revue musicale. ^ Recensionen: Guitarre-Schule von Ferdinand Sor. Breitkopf und Härtel. 1810. ^ Wolf Moser, “Fernando Sor: The Life and Works of a Reluctant Guitarist, part one” from Classical Guitar Magazine, November 2007. ^ Matanya Ophee: "Fernando Sor and the Russians", in: Soundboard Magazine. 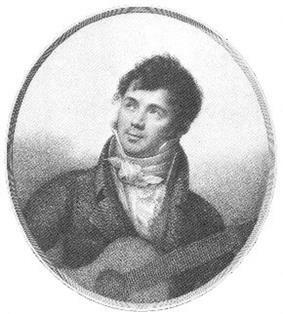 ^ Wolf Moser: "Fernando Sor: The Life and Works of a Reluctant Guitarist part two”, in: Classical Guitar Magazine, December 2007. ^ "Leonhard Schulz: Recollections of Ireland Op. 41". Guitar And Lute Issues. ^ "Fernando Sor – Master Composer For Guitar?" (PDF). Lawrence Johnson. ^ Neue Mozart-Ausgabe. "Mozart: Die Zauberflöte (Partita – see p. 157; bar 301 – Monostatos und Sklaven...)". ^ Arthur J. Ness. 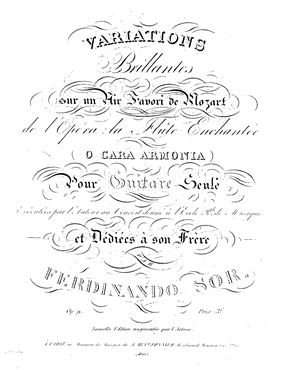 "Fernando Sor's Mozart Variations, Op. 9". ^ Fernando Sor. "Méthode pour la Guitare". Tecla. ^ Innovation and the Development of the Modern Six-String Guitar by Darryl Martin (The Galpin Society Journal vol. 51 (Jul. 1998).